Scroll Down to see more of our White Ash Burl! Other Names: European Ash Burl (sapwood), olive ash burl (Heartwood). Source: Europe, North Africa, Western Asia, U.K.
Color: Cream to pale tan to dark brown to black heartwood. Pattern: Straight grain, coarse, even texture. Characteristics: Heavy in weight, hard, strong, stiff, high shock resistance, excellent bending qualities. Uses: Cabinetwork, furniture, interiors, sports goods, handles, decorative veneer. 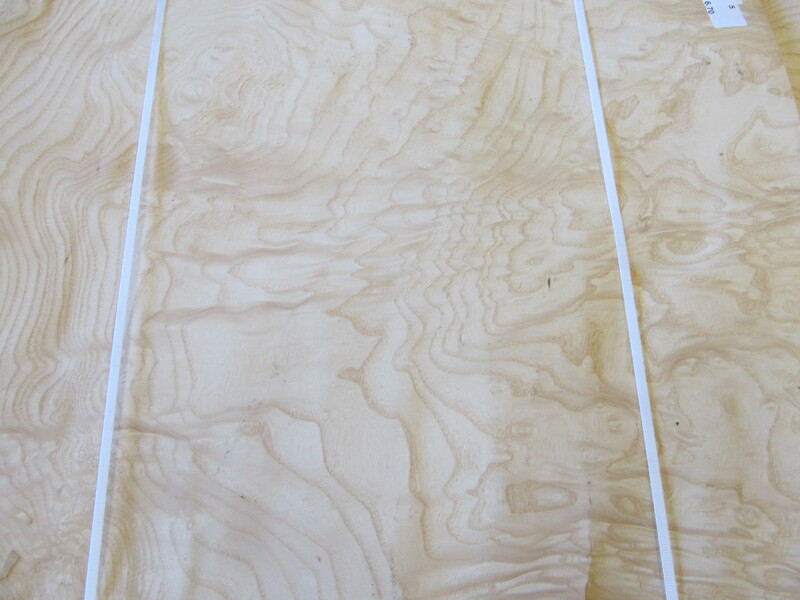 Similar to it’s olive-colored brother, Ash Burl Veneer – White has STRIKING attributes. Although a burl is a “deformed” tree growth, it truly is a beautiful detail. Burl growths are caused by some kind of stress, such as injury, virus, fungus, insect infestation or mold growth, which makes it pretty easy to relate to a tree with burl growths. In fact, it’s a beautiful feature when something so unbelievably beautiful is born out of hardship. If you’re looking for a wood that will tell a story, this is it. 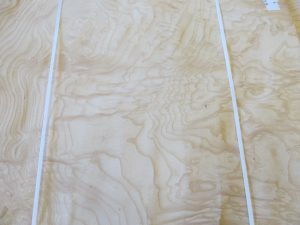 The primary difference in this veneer is simply the lighter tones found in the wood as compared to it’s olive-colored brother.